This entry was posted in Reflections and tagged buttons, gifts of life, memoirs, moments, notions, photography, postaday, sewing, Umbria, Writing. Bookmark the permalink. I am still sewing on the Bernina I have had since I was 11. It has sewn clothes for me, my son and then my shop for 20 years. It will see me out. Love those old machines! They just keep going and going. Definitely have her leave those buttons for you! As I said, I had no idea how many memories came flooding back! Thank you! 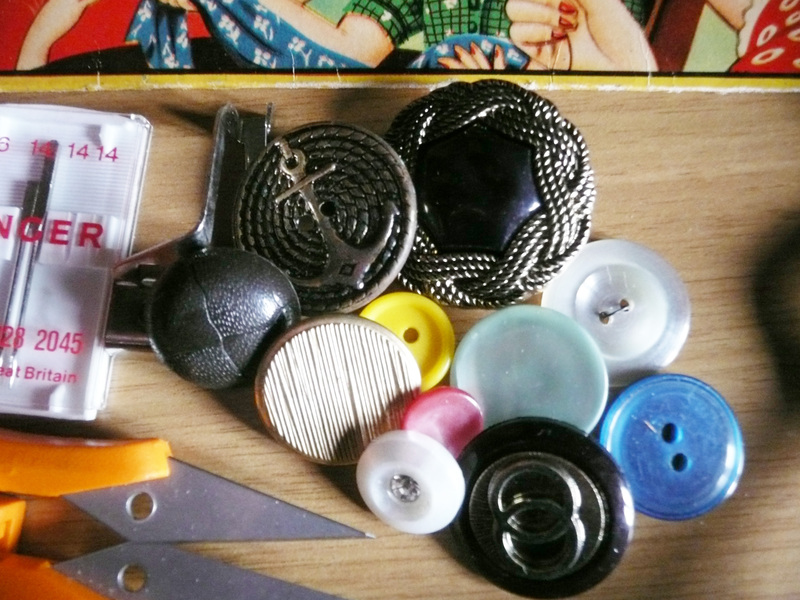 I have a sewing box too. Pink and white check with ribbon edging and raffia trim and handle. Satin-like lined of course and a insert which brims full of buttons. If I was as clever as you I would indulge, swim around in some memories for they are surely there. But memories scare me somehow. I love the way you can write so beautifully and simply of your own Nina….I love your ladies too. And I hope their homes were happy. My father restored a beautiful old wooden sewing box for me when I was 16. I still have it. I’ll have to post a photo of it. It’s so very precious to me. 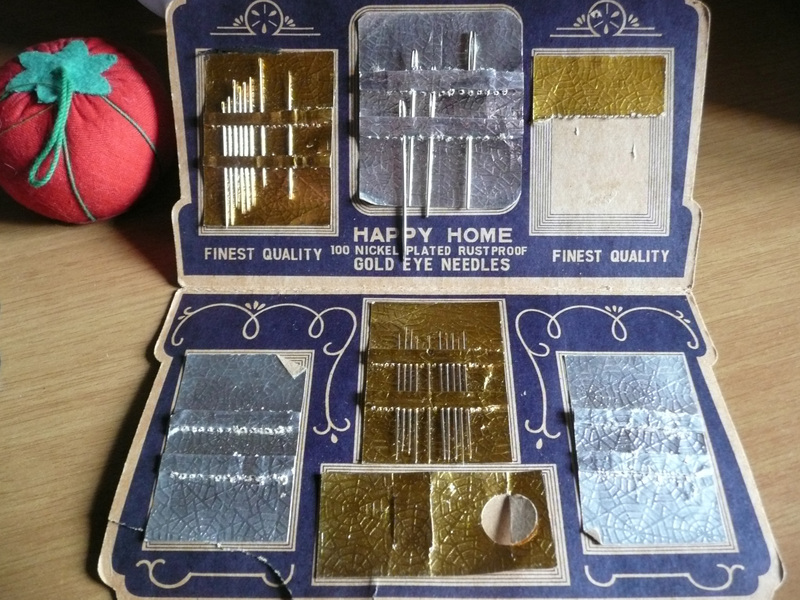 Beautiful…….I have my Moms sewing box, an old cookie tin container.. that she got one Cristmas.. I too have those great memories….. amazing the flood of memories they always bring back. Love it. Thanks, Penny! The memories seem to be getting more numerous as time goes on…! 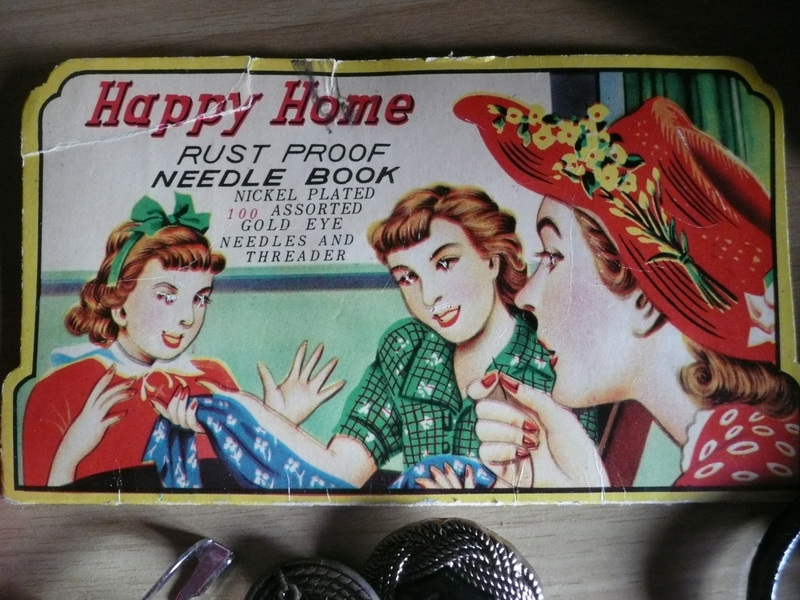 I used to have that same Happy Home Needle Book! I too love all the associations these little notions have when they’ve been around a long time. Funny how those small things can bring back so many memories. I’m so glad I kept a few of them!